Dr D Digs Up Ancestors: Are You a Genetic Fisher or a Genetic Genealogist? Are You a Genetic Fisher or a Genetic Genealogist? 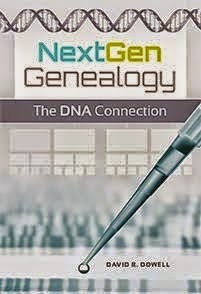 There are at least two basic strategies available to those interested in DNA testing to extend their family histories. One is passive and the other is proactive. There is no reason why it has to be either/or. Most of us probably started as "genetic fishers." We took a DNA test and used our results as bait to "hook" some unknown relatives. As you have probably realized by now, the actual "numbers" on the test reports we get back on our DNA tests are useless for genealogical purposes until they are compared with others and matches are discovered. This is a legitimate strategy. GENO 2.0 is not a good test for family history fishers because it only begins to comes into focus in earnest earlier than the genealogical time period that most of us can document our histories. Its real purpose is to explore deep ancestry and to preserve the unique genotypes of isolated and aboriginal peoples before they are amalgamated into the mainstream. "Genetic genealogists" are required to use more forethought and often to get involved in active recruiting. It requires the identification of a specific research question which guides the choice of the appropriate test(s) and the person(s) to be tested. My first DNA test in 2004 was to test the hypothesis that another male Dowell, with whom I had been exchanging genealogical information for about 15 years, was closely related and probably shared a common male ancestor during the 17th century. The test quickly disproved that hypothesis. Subsequent testing has established that our closest male ancestor lived more than 3,000 years ago before either of our ancestral lines even dreamed about a taking a surname such as Dowell. To test other hypotheses it has been necessary to recruit a number of male and female cousins including one that was a 3rd cousin -- once removed and several who were about 6th cousins. Identifying the right cousin(s) and convincing them to test is often more than half the battle. The process of selecting the right test and the right test taker requires an understanding of the 4 inheritance patterns of the 4 types of DNA that I discussed in yesterday's post "Which Ancestors Are Talking?" I suspect that most of us are genetic fishers much of the time. However, I hope many of you will also become accomplished genetic genealogists as well.